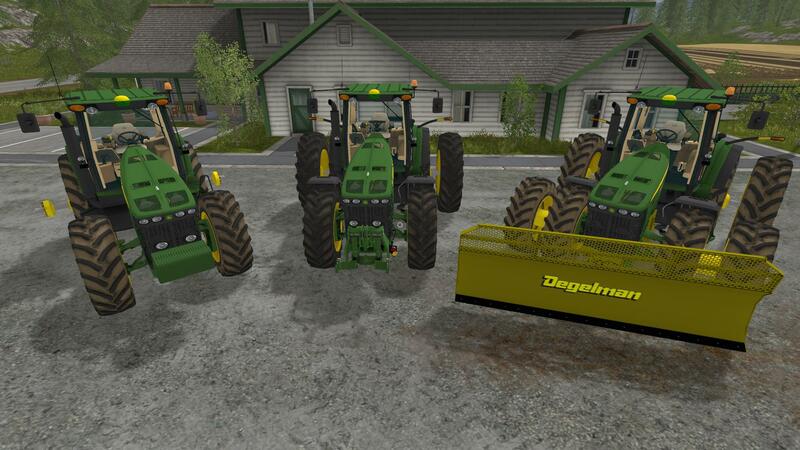 I am sure that branded tractors by John Deer is definitely the upgrade that everyone is wishing for in Farming Simulator 2019. 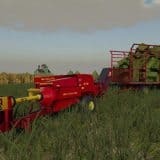 My ideas on how to improve FS 19 include upgraded physical engine and solving existing bugs. 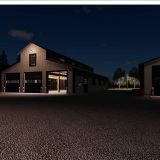 As far as I have seen, FS17 is an advanced edition, although there is a lot of to improve to become a realistic simulator. For instance, having irrigation in the fields would be a big step forward. I mean that some functions should be implemented by default and not added by FS 2019 mods. I would consider having a view of the farmer from aside – from a third person perspective. Another suggestion for LS 19 would be to have a feature of cultivating the land with manual handy tools, such as hoe. This manual technique could be used in gardens, greenhouses or small fields near home. I would prefer having only few buildings and objects in the farm area at the beginning and the option to expand it when you have enough resources for that instead of having everything at once. I think one of the greatest editions of LS 2019 would be adding seasonality. In this way all farming and planting cycles should follow seasons (temperature and climate in general). Even different climate year by year would be a favorable feature. Moreover, I would like to see some unexpected events which could damage crops, such as floods or droughts. In my case, costs of daily maintenance are not something that keeps you motivated. I think that the system of maintaining equipment should be more developed in Farming Simulator 2019. 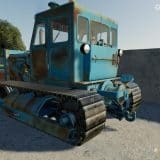 It would be great to see the break downs of equipment which seems to be in perfect condition from aside. I don’t find static sowing area very realistic. In my mind the effect of weed, insect and even water on crops should be noticeable. I strongly believe that my mentioned suggestions would make FS 2019 a more operational simulator. However, the game fans of traditional simulator could be not very pleased by these additions. It would be great, if every type of crops would have 3 age stages, maintenance level and current efficiency. This would have an impact on the class of crops. Obviously, quality of crops would depend on the season and existing climate as well as all the pesticides which were used. Following this, I would like that a wider variety of various chemicals was introduced. I am looking forward to the moment when LS 2019 will be introduced as console version which could be compatible with both PC and Mac as well as few editions for PC and Mac only. This would mean that a game would become 3 or 4-year cycle edition and would not focus on the year so much. In this way, there wouldn’t be any postponing due to console aspect. For instance, Giants company would still face the revenue coming from console versions which would be compatible with PC and Mac but with less fidelity and more arcade as FS17 is currently, but names FS20, FS22 and so on. Meanwhile increased fidelity and additional simulation version would be available only on PC or Mac because there would be additional needs for hardware. Apparently, the replacement of Xbox and PS5 is not expected soon, which is not good news for PC or Mac users, if FS 19 will be still designed for port requirements and compatibility of mods by PS4 and Xbox. I wish that in Farming Simulator 19 a player will be given a freedom to design the farm the way he or she wants. Functionality, such as making contracts with construction companies would be helpful in organizing everything personally. It would be great seeing workers building the farm which you have designed. I believe with FS 19 mods this section of the game could be expanded with even greater functionality. I would like to see more well-known farming equipment brands, such as: Vicon, John Deere, AGCO, Kuhn, Fella, Lely, Blackbird, Male Gaspardo, Lacotec, Hawe, Stapel and many others.